On Friday we celebrated Halloween at work. 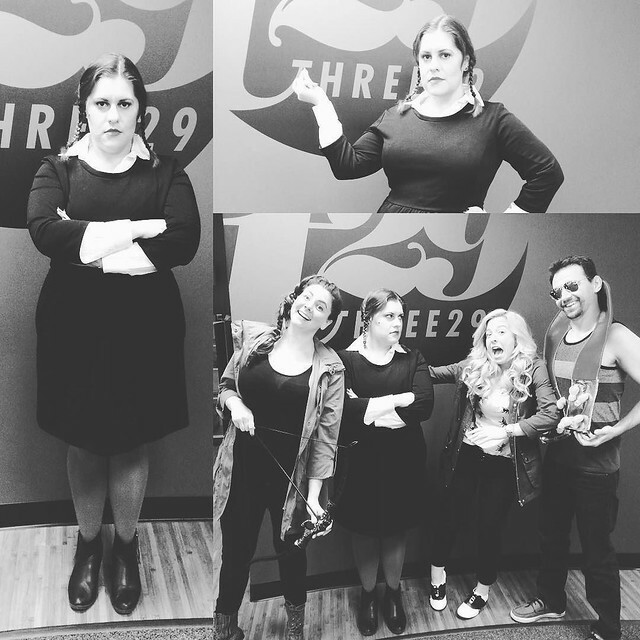 I went as Wednesday Addams. I had been tossing around the idea of either going as Wednesday Addams (easiest costume based on what I had), Mary Poppins, or Sadness from Inside Out. I was going to be Mary Poppins, but at the last minute I couldn’t find my hat (I think I might have donated my fedora), so I did Wednesday instead. I found a pretty basic make-up tutorial on YouTube for Wednesday, so overall I was pretty pleased with my costume! Yesterday on Halloween itself, I ran around running errands in my Gryffindor shirt and socks as a casual Gryffindor Girl (aka myself, hah). 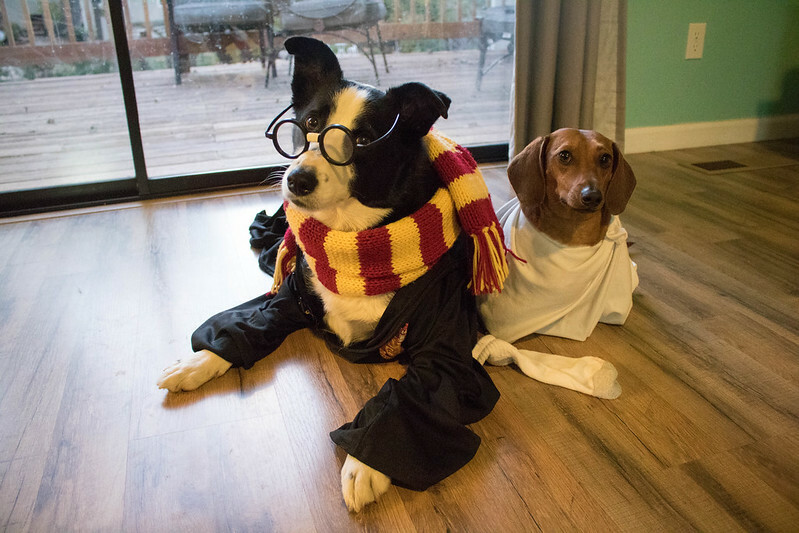 I dressed the dogs up as Harry Potter characters. Tucker went as “Hairy Pawter” in which I dressed him up in my scarf, Gryffindor robes and glasses; Mr. Big went as “Dobby the House-weenie” and all I had to do for his costume was cut a hole in an old pillowcase and put a sock beside him. They stayed in costume long enough for me to snap photos, and then I promptly gave them their dignity back. We barely get trick-or-treaters, so I decorated the front porch a little and left out a big bowl of candy. I spent the evening watching Hocus Pocus, Halloween 4, and Rocky Horror. Dani got off work around 10pm, so she and her friends hung out for a little bit and then went out bowling. I’m so glad it’s been getting cold enough to where we can run the pellet stove. 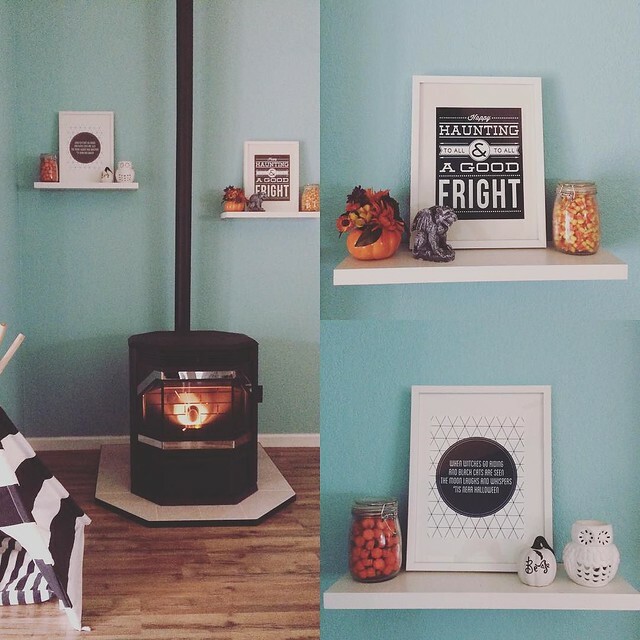 It’s quite cozy! It was a bit slow this week, so I didn’t have a whole lot to work on other than internal stuff. We’re doing a social Bingo game with some agencies in San Francisco as a way to introduce ourselves to the area, so I was helping with the eBlast for that; I guess we did something like this last year for the Sacramento area. I did end the week starting on a new project, but it’s got a December deadline so it will go fast. Since it’s the end of the month I cranked out my usual Favorites and Beauty Bag posts. Continued hustling to get prepared for NaBloPoMo. Made some serious design progress on The Lovely Geek this weekend.